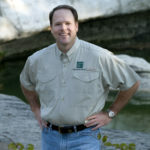 Craig Young is a Terrestrial Program Leader with the National Park Service. Craig is a 21CSC Champion of the Year for 2019. This Award recognizes individuals from agencies and organizations that partner with 21CSC programs to help engage the next generation of conservation and community leaders in service, education and training. 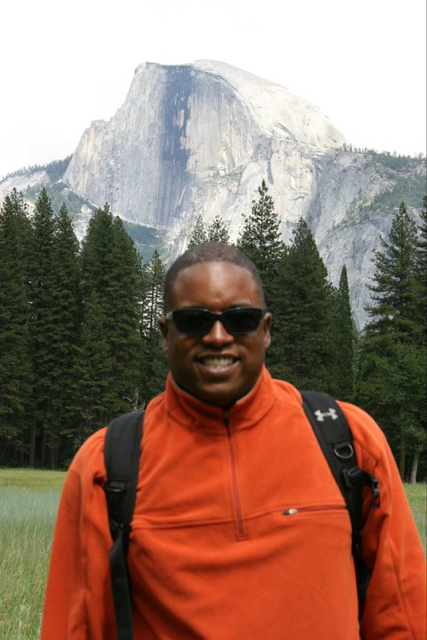 In my current role, I work with the National Park Service (NPS) as an ecologist and program leader. More specifically, I work for the Heartland Network, one of 32 inventory and monitoring networks within NPS. 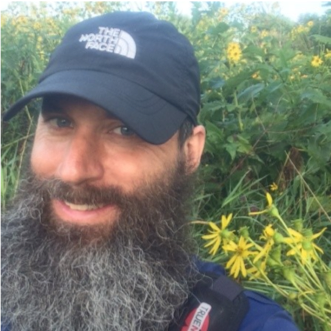 In this capacity, I lead a small team of excellent plant ecologists who monitor plant communities, wetlands, rare plants, and invasive plants across 15 national park units in the Midwestern U.S. I also manage a small, but energetic Exotic Plant Management Team. This team assists parks with designing, planning, and implementing invasive plant control and restoration projects in those same 15 parks. Growing up on military bases as a child, I was always able to explore places with woods, rocks, water, and creatures. After writing to the U.S. Forest Service as a junior in high school (this is pre-internet!) to learn about forestry careers, I planned to study forestry. Finding myself at a Centre College, a liberal arts school in Kentucky, the most similar course of study was biology. So, biology it was. During this time, I was given amazing opportunities to work closely as a research assistant for Dr. Robin Kimmerer. That work allowed me to experience field work in the Adirondack Mountains and the Ecuadorean Andes. These experiences inspired me to want to learn more about, enjoy, and protect natural areas. Looking back, I also experienced the power that mentorship can have on a career path as well as a life more broadly. I continued my studies, pursuing bryophyte ecology under Kimmerer’s direction at SUNY-College of Environmental Science and Forestry where I completed a master’s degree in forest biology. That was the start. My supervisor in the NPS, Mike DeBacker, and regional I&M/EPMT coordinator Carmen Thomson encouraged me to look at young adults organizations as partners for our EPMT work. 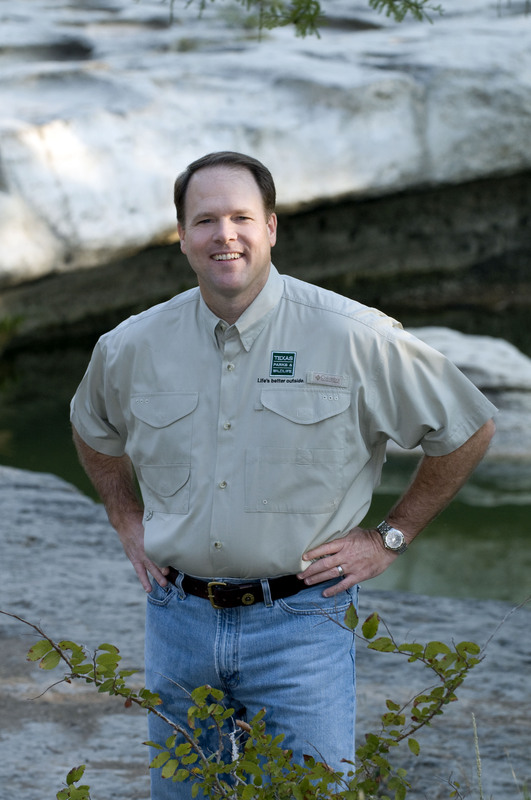 We already had a history of working closely with numerous high quality individuals through American Conservation Experience and Student Conservation Association. In all of these cases, the interns immersed themselves in our work, contributed, and almost always found a natural next step in their career. One of my most important interactions with Service and Conservation Corps really started in 2010 through a partnership with the Iowa Conservation Corps (ICC). As this program was finding its feet as an extension of the legendary Minnesota program, we were also finding our feet as the Heartland Exotic Plant Management Team. Our team began to train with the Corps members and spend more face-to-face time with their leaders. Through this interaction, I began to understand the deep vision and care that they brought to young adult development. As a result, we have worked with ICC to broaden the range of stewardship activities and educational opportunities for Corps members. The equation of young adults + parks + stewardship = outcomes that are good for parks, good for the public, and formative in so many ways for the Corps members. This is the opportunity that working with Service and Conservation Corps has provided. My advice to land and water management agencies would be that an investment in partnership with the Service and Conservation Corps can actually be strategic. That is, Corps have strengths that federal agencies may not have. For example, Corps can amass large groups for a job that requires operational flexibility. On the other hand, federal land managers provide sites of unrivaled conservation value and a history of leadership in conservation. In my experience, forming a more strategic partnership has required commitment from federal and Corps leadership to openly discuss their vision and to grow that vision over time. While I initially thought of the Iowa Conservation Corps more as a service provider that could provide natural resource graduates a first opportunity in the field, my view was limited. I now see Corps as able to form hard-working teams of young adults from many different educational and personal backgrounds. The experiences of working with land managers in national parks prepares members for numerous, yet unknown paths. All of this happens while meeting the objectives of important conservation projects on federal lands. This is a win-win. The 21CSC really carries on the tradition of the Civilian Conservation Corps. Even now, I often see the mark of the CCC in national parks: structures built, forests planted, trails blazed. To think that those CCC workers so skillfully and painstakingly laid stones along trails that I walk on now is humbling. This is the same work that 21CSC offers now – investments of time, energy, skill, and care that will endure into the next generation. The public service mission of the 21CSC expands the capacity of federal land managers to meet the demands of investing in public lands for the enjoyment and inspiration of all our visitors. My sense is that young people are often discouraged as they begin to pursue careers in land and water management because the career path looks less clear than those found in medical, engineering, or accounting fields. I think this is combined with perhaps less certainty on life-time career earnings or career advancement. All of that can be discouraging and disconcerting for youth and their families. From being in this field for over 20 years, I can assure young people that there is opportunity here. I think some of the uncertainty in how to get started or in predicting career outcomes stems from the abundance rather than the lack of different opportunities in land and water conservation. Because distinct geographies and local cultures strongly shape conservation jobs, they vary more compared to more standardized careers. This is a reality of environmental conservation work that must be embraced in order to find a place in the field. So my advice is simple, but challenging (even for me at this point in my career) – commit to the work and not to a job or a salary. The career will follow. To prepare, first spend time being in nature and working in nature – in wild places, urban places, rural places. Give yourself the gift of time to begin to develop an intuitive sense of nature in its greatness and smallness. Prepare yourself through formal and informal education. Then learn about the range of actions that people and organizations are taking to integrate the care of land, water, creatures, and people – from scientists, environmental justice activists, land trust officers, impact investors, to green business leaders. Begin your work somewhere, but early on in your career continue to look at job announcements, network, and listen in order to find the slipstream where your talents can best be used. Find a mentor that can help you navigate some of the differences in jobs, organizational cultures, and, yes, salaries. This is a field where everyone needs to knock on many doors throughout a career. Don’t be discouraged – keep knocking! This entry was posted in Uncategorized on January 24, 2019 by Hannah. 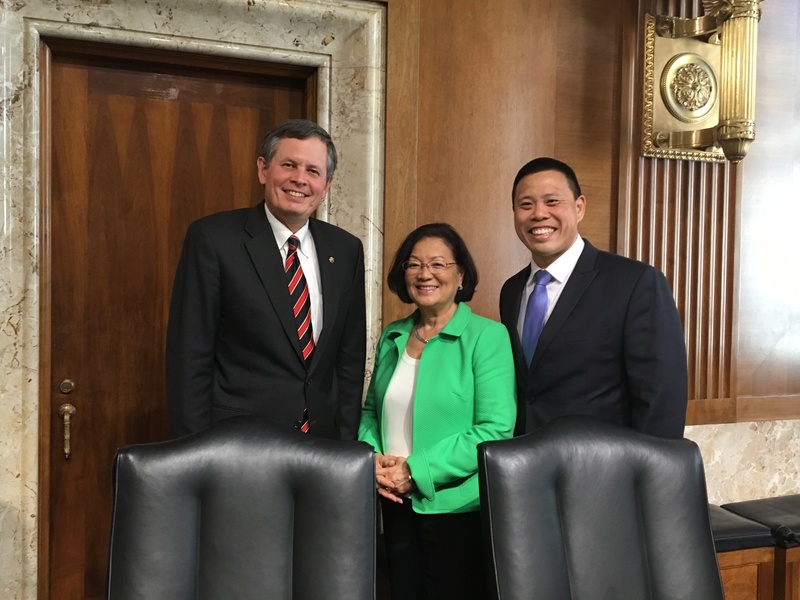 WASHINGTON, DC (Sept. 27, 2017) – In a hearing organized by Sen. Steve Daines (R-MT) on “Encouraging the Next Generation to Visit National Parks,” John Leong, CEO of Kupu – a member organization of the 21st Century Conservation Service Corps (21CSC) – testified before the Senate Energy and Natural Resources Subcommittee on National Parks about how the Corps model is an effective way to engage the next generation of outdoor stewards, recreationists, and entrepreneurs. The National Park Service (NPS) celebrated its 100th anniversary in 2016 and saw a record high of nearly 331 million visitors. Today’s hearing was an opportunity for Senators to receive testimony on ways to address barriers to visitation and attract younger, more diverse users. The most recent comprehensive surveys show a marked underrepresentation of non-whitesand young adults among both park visitors and employees. Service and Conservation Corps are locally-based organizations that provide young adults and veterans the opportunity to serve our country, advance their education and obtain in-demand job skills. Kupu is one of more than 130 Corps represented by The Corps Network. Collectively, these programs annually enroll over 25,000 youth and veterans across all 50 states, DC, Puerto Rico, and American Samoa. Additionally, Corps organize service events that generate hundreds of thousands of volunteer hours every year on public lands and in communities. During defined terms of service in crews or individual placement positions, Corps participants – or “Corpsmembers” – gain work experience by performing important conservation, recreation, infrastructure, disaster response, and community development projects on public lands and in rural and urban communities. Through public-private partnerships, Corps work with the National Park Service and other federal, state and local agencies to complete mission-critical projects, including removing invasive species, building trails, preserving historic structures, and managing wildfires and responding to disasters. Corpsmembers have the chance to develop leadership skills and an appreciation for public lands and waters by working side-by-side with resource management professionals at America’s iconic parks, forests and refuges. The National Park Service Centennial Act, signed into law in December 2016, included provisions that amended the Public Lands Corps Act of 1993 to help strengthen the pathway to resource management careers for Corps alumni. Specifically, the legislation raised the maximum allowable age of Public Lands Corps participants from 25 to 30, and granted two years of noncompetitive hiring authority with federal agencies to Corps alumni who served at least 640 hours. 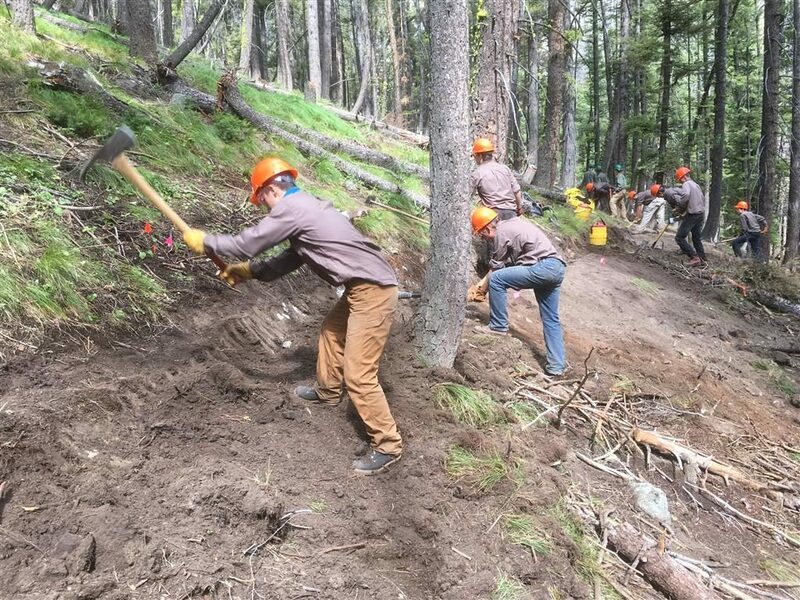 The 21st Century Conservation Service Corps Act (S.1403, H.R.2987), a bipartisan bill reintroduced in the House and Senate this past June, would also enhance the connection between public lands and the diverse young adults and veterans who serve in Corps. Among other provisions, the 21CSC Act would make it easier for more federal agencies to enter partnerships with Corps to complete cost-effectivd mission-critical projects and engage the next generation. In addition to Mr. Leong, the witness panel at the hearing included, as listed, Ms. Lena McDowall, Deputy Director for Management and Administration, NPS; Ms. Yennie Fuller, Civil and Social Impact Manager, Niantic, Inc.; Ms. Angela Fultz Nordstrom, Vice President, NIC, Inc.; Mr. Tim Rout, CEO, AccessParks; and Mr. Will Shafroth, President and CEO, National Park Foundation. This entry was posted in Uncategorized on September 27, 2017 by Hannah. A merger of the previously-introduced Public Lands Service Corps Act and 21CSC Act, the bill would advance the 21CSC’s goal of engaging 100,000 young adults and veterans in Corps through addressing backlogged maintenance and other mission-critical projects on America’s public lands and waters. WASHINTON, DC – The Partnership for the 21st Century Conservation Service Corps (P-21CSC) – a collective of federal, state, local and non-profit stakeholders that support the growth and development of the 21st Century Conservation Service Corps (21CSC) – applauds bipartisan introduction of a new 21CSC Act in the United States House of Representatives (H.R.2987) and Senate (S.1403) on June 21, 2017. The bill was introduced in the Senate by Sens. John McCain (R-AZ), Michael Bennet (D-CO), Lamar Alexander (R-TN), and Tom Udall (D-NM). It was introduced in the House by Reps. Martha McSally (R-AZ), Seth Moulton (D-MA), Scott Tipton (R-CO), and Raúl Grijalva (D-AZ). 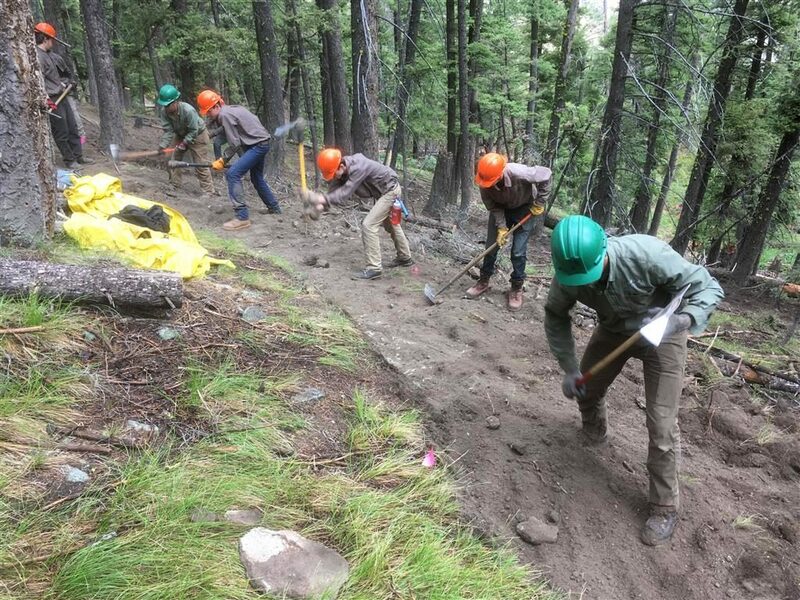 The 21CSC is a national initiative to annually engage 100,000 young adults and veterans in outdoor work and national service opportunities – such as those offered through AmeriCorps – that address mission-critical maintenance and improvement projects on America’s public lands and waters. Currently, the more than 200 official 21CSC member organizations across the country annually enroll more than 25,000 participants in up to year-long terms of service, during which participants gain hands-on work experience, in-demand skills, and prepare for careers in the growing recreation, natural resource and restoration economies. Through public-private partnerships among 21CSC programs, resource management agencies, and the private sector, the 21CSC builds rural and urban economies by engaging young adults and veterans in projects that increase access to public lands and enhance the natural resource infrastructure that supports our country’s $887 billion outdoor economy. America’s main resource management agencies have a maintenance backlog totaling over $18.6 billion. By partnering with 21CSC programs, these agencies can further leverage their funding to cost-effectively engage Corps in building trails, fighting wildfires, maintaining productive fish and wildlife habitat and generally maintaining parks for public access. Along with completing projects, 21CSC also develops the next generation of outdoor stewards, recreationists, sportsmen and women, and resource managers. While gaining in-demand skills, Corpsmembers build respect and appreciation for our country, hard work, and the outdoors. Establish coordinators at participating agencies to ensure the efficient functioning of the 21CSC. The 21CSC Act was originally introduced in the Senate in August 2015 (S.1993) by Senators McCain and Bennet, and in the House in April 2016 (H.R.5114) by Representatives McSally and Moulton. The Public Lands Service Corps Act (PLSCA) – a similar bill – was most recently introduced in the House in April 2015 (H.R.2167) by Rep. Grijalva and in the Senate (S. 1160) by Sen. Udall. Rep. Grijlava has been a long-standing champion of Corps and the PLSCA. The legislation introduced yesterday is a combination of previously introduced versions of the 21CSC and PLSC Acts. It represents a bipartisan effort among sponsors and cosponsors of both bills to work together for the advancement of Corps as a public-private strategy to meet the needs of America’s resource management agencies and provide work opportunities for young adults and veterans. The 21CSC initiative was launched as a partnership between America’s Corps and a number of federal agencies to promote the idea of a 21st-Century Conservation Service Corps (21CSC) to provide job training and to maintain and preserve public lands. The 21CSC is supported by the past five Secretaries of Interior (two republicans and three Democrats) and has received investments from private businesses like American Eagle Outfitters, The Coca-Cola Foundation, the REI Foundation, The North Face, the Campion Foundation, Camelbak, the Youth Outdoor Legacy fund, KEEN Utility and others. Current Secretary of Interior Zinke was a co-sponsor of the 21CSC Act when he was in Congress. 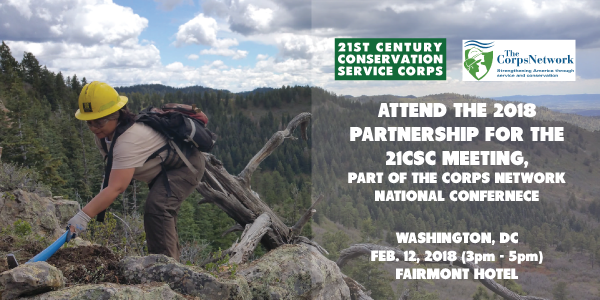 The 21st Century Conservation Service Corps (21CSC) is a bipartisan, national initiative to leverage public-private relationships for cost-effective maintenance and improvement of America’s infrastructure, lands and waters. The 21CSC envisions partnerships between resource management agencies and Corps: organizations that engage America’s young adults and veterans in work-based national service projects that restore, conserve and enhance infrastructure and public lands and waters. The 21CSC is an easy-to-implement solution to America’s aging infrastructure that also develops the next generation of outdoor enthusiasts, recreationists, sportsmen and women, and resource managers. While gaining in-demand skills through their service, Corps participants also build respect and appreciation for our country, hard work, and the outdoors. To learn more about the 21CSC, please visit www.21csc.org. The Partnership for the 21st Century Conservation Service Corps (P-21CSC) supports the development and implementation of the 21CSC to reach its goal of engaging 100,000 young people and veterans per year in conservation service. The Partnership’s members include key federal, state, local and non-profit leaders and stakeholders of the 21CSC. To learn more about the P-21CSC, please visit 21csc.org/about-partnership/. This entry was posted in Uncategorized and tagged 21CSC Act on June 23, 2017 by Hannah. Lamar Gore is a 21CSC Champion of the Year for 2017. As the John Heinz National Wildlife Refuge Manager, Lamar Gore strives to work with partners, the community, and schools to meet both refuge and community goals in Philadelphia, PA. He began his career with the U.S. Fish and Wildlife Service (USFWS) as a biological technician at the Montpelier Office of Fishery Assistance, later working with several National Wildlife Refuges, other USFWS programs, and the Northeast Regional Office. At John Heinz, Gore helped develop environmental education programs at three local schools. Additionally, working with Audubon Pennsylvania and the Student Conservation Association (SCA), Gore has developed relationships with the public to create green space (habitat, gardens, learning spaces, etc.) in Philadelphia neighborhoods. He has also worked in partnership with the Clean Air Council, the city and others to improve multi-use trail connections from John Heinz to the community. Gore is an advocate for SCA programs, and has attained support to get more youth involved in local projects. He has a vision to make seamless connections between John Heinz and the surrounding community. The result of Gore’s work has generated new funding to create a youth community restoration program, putting youth to work on conservation projects during the school year. Since childhood, I’ve had an interest/fear in the natural world, which sounds odd. There was the desire to discover, but fear to touch. I had some key areas that sparked me including an uncle who was a fisherman and a 7th grade science teacher who introduced me to fly fishing. A trip he took our class to, in which we stayed in cabins for a week in Stokes State Forest was the trip that lit the torch for me. As a Freshman in college, I stumbled onto the USFWS with a program called the Career Awareness Institute, based in Tennessee, and it was this program that launched me into the fisheries program as a Cooperative education program student. The opportunities and challenges were rewarding along the way, and I wouldn’t change a bit of it. I look at this partnership as an opportunity to give back to our target communities. You can engage youth in conservation careers and teach important work skills to those youth. It’s difficult to understand the full value of this type of programming until you realize even one of those youth sinking their teeth into a career in the conservation field and becoming a leader. What should one expect when partnering with a 21CSC program? Expectations range from a member network that can recruit and manage the administrative function of interns assigned to your site. The ability to recruit in target communities, and vetted candidates. Where can those interested in working with the 21CSC turn for resources? There is a lot of knowledge and experience in partners who have worked with Corps Network member organizations, so talking with us can shed a great deal of light on the benefits, however, you can also visit the networks webpage to fill in the gaps. I would first say that as you enter the program, empty your cup and let your supervisors and mentors refill it. They will prepare you for a road to success. Second, make your first, middle, and last impression count with those you work with and for. Those impressions can and often do follow you around. Be sure to network with the agencies you work for and do not be afraid to try things outside your comfort zone, as it’s in those places that you will be sure to grow and learn. For me being a part of youth engagement on public lands is about land stewardship. The conservation world has been fighting a losing battle for years, because we have not put enough emphasis on both youth and community engagement on and off public lands, making a connection between each. The ambassadors developed by engaging people on and off public lands are invaluable to the youth, the community, and the public agency. I expect to see service and partnerships increasing, but the work of communicating through our youth will be of the utmost importance. Youth communicating with you and community communicating with community are often more effective than “Joe Blow conservation” communicating with youth or community. That doesn’t mean it doesn’t work, but I believe we need a stronger impact. This entry was posted in Uncategorized on February 10, 2017 by Hannah. Joni Packard is a 21CSC Champion of the Year for 2017. 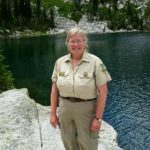 Joni Packard has been with the U.S. Forest Service (USFS) for 25 years, working in numerous capacities in Washington, Alaska, Idaho and Montana. She now serves as the Regional Volunteer, Youth and 21CSC Program Coordinator for the Northern Region, covering Montana, northern Idaho, and North and South Dakota. 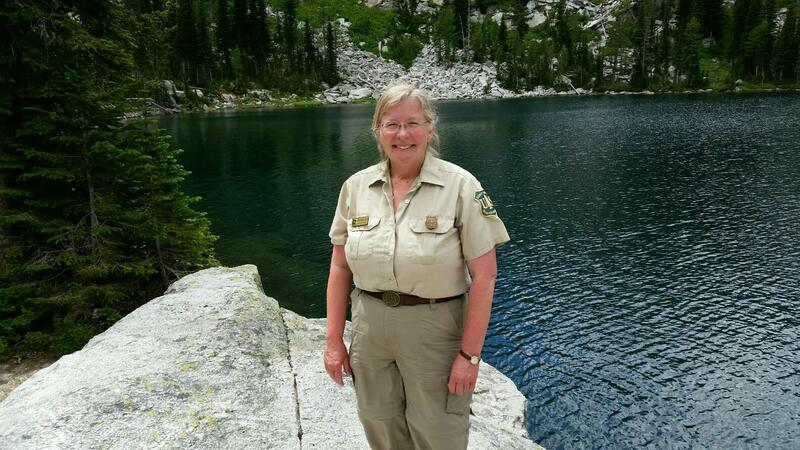 Packard has been involved with Corps since she served as a Youth Conservation Corps member in the 1970s. In her current role, she has partnered with numerous 21CSC organizations, helping lead efforts to engage more veterans and diverse youth in conservation projects. Packard has championed and sought additional Forest Service funding for Corps and other 21CSC partner engagement efforts, increasing additional funding to Northern Region field units from $150,000 in FY12 to almost $1 million in FY16. Packard is considered a leader by her peers in other regions and as a trendsetter for creative ways to engage youth on public lands. I’ve had a long time interest in conservation and preservation issues since I was a junior high school student, back in the early 1970s. Along with the environmental issues and activism that were a key part of that era, we had a family cabin in the Cascade Mountains in Washington State that was instrumental in creating my love for the outdoors. Rachel Carson was one of my early heroes, not so much for her book “Silent Spring” but more for her book “A Sense of Wonder,” which found the beauty in nature and the “little things” as well as introducing one to the broader connections between living systems. In the mid-1970s, I was selected as a Youth Conservation Corps enrollee, right after the program was permanently authorized. 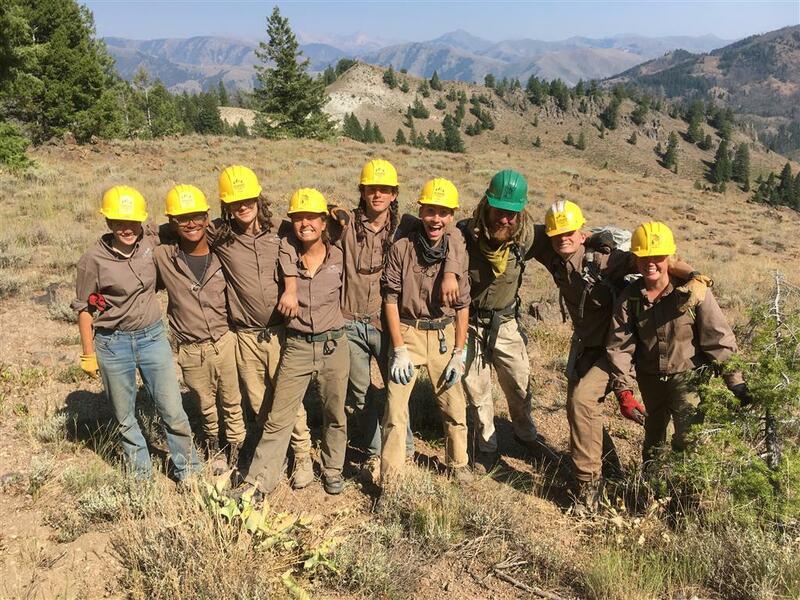 YCC “started the spark” where I saw and realized I could turn my love for the natural world and connecting people to it, into a potential career in natural resources. Conservation and caring for this planet – and caring for people — has been a calling ever since! The advice I would offer is look at these programs as a way to introduce young people to not only an agency’s and non-profit’s missions, but also as way to introduce young people to the skills, strengths, and leadership potential they have in themselves. These young folks – no matter what generation – are incredibly capable, passionate and caring – look at them not only as a way to help get needed work done, but as new stewards working shoulder to shoulder with us all right now. Create an array of experiences that will not only introduce them to conservation projects but also the stories, the connections, and a land and community ethic that will inspire their own future stewardship, no matter what career opportunities (public or private sector) they might pursue. When partnering with a 21CSC program, there’s always going to be some bumps along the way and some unexpected issues. Create timelines that allow flexibility if you can, have back-up plans when staffing issues happen, budgets are late, projects change or get done early, or emergencies (such as fire or floods) occur. Cost effectiveness and being value added is important for everyone – think about how to partner creatively to leverage resources. Talk about and develop shared outcomes. Stay engaged with each other. Be willing to experiment with new programming and partners (and/or new combinations of partners) to stay contemporary. Realize sometimes a partnership may not be a fit in some scenarios yet it doesn’t mean that a great partnership can’t still occur in others – it’s ok to adjust. Be thinking how to stay be ahead of the game in terms of demographic, cultural, and technological shifts. Be creative. Value traditions and new ideas – there will be different “cultures” within organizations (both public and private sectors) to work with. Understand each other’s processes, mission and goals. And…share a few laughs, some homemade cookies and get out on the ground together – see, value and acknowledge the great work everyone – 21CSC partners, crews, interns, and agency staff — are doing! 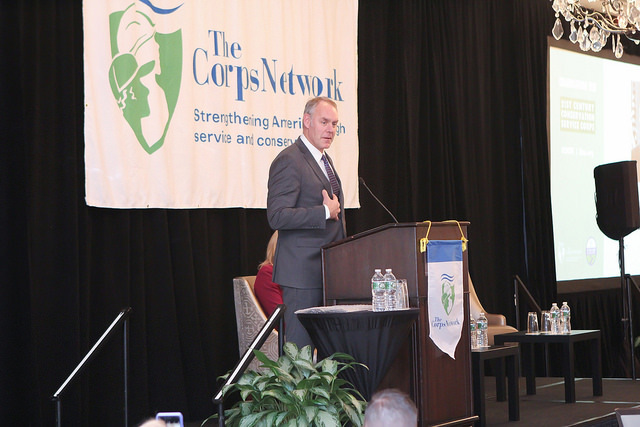 People can turn to The Corps Network and its’ website; visit directly with The Corps Network’s member organizations; and visit with agencies (such as Regional Volunteer and Service contacts) working with 21CSC partners. What drives me is that I believe in the future, that it is good, and that each generation is what makes up that good. Engaging youth on public lands is not only about creating future public land stewards, it’s also about creating connections – to themselves, to each other, to deeper understandings about different cultures, values, perspectives communities, and our natural systems – that will help create a better world for all. The pride that comes from a job well done, the self-esteem that happens when you can see how strong and capable you are, the camaraderie and friendships that can last a lifetime, the sense of stewardship and caring and being able to pass that along so that your kids will be able to enjoy public lands just as much as you have been able to do – all this and more is, for me, what youth engagement on public lands and waters is about. I see the future of Service and Conservation Corps as a way to help connect our young people to not only their public land heritage and employment opportunities, but also as a way to help them create a more positive future. Service, any kind of service, is a way for people to give back, to find out about themselves, about other people, about connections to communities and the larger world. When we experience and work with other people, we get to know them as just regular folks, with similar dreams, hopes, fears and desires. It doesn’t matter if you are an urban youth working with a youth from a rural area or a Reservation, if you are black, white, or brown, male or female, young or old, straight or gay, from different religious, cultural, ethnic or racial backgrounds, “conservative” or “liberal”… when we can begin to work together on simple things like trail building, cooking dinner together after a hard day’s work, helping a crew member hoist a heavy pack, or making sure everyone’s ok on a long slog in to a remote backcountry work site, the “differences” can melt away and folks become friends, perspectives can change, and people realize they really can work together to make a difference. Through Service and Conservation Corps and Agency partners, there is the practical part of gaining work skills, getting work done on the ground, and understanding agency missions and conservation work. There is also the opportunity to become a “new bridge,” by helping create much needed connections and kinder understandings between us all. This entry was posted in Uncategorized on February 7, 2017 by Hannah. 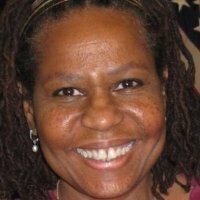 As the Volunteers and Service National Program Manager for the U.S. Forest Service, Merlene Mazyck provides strategic leadership and policy guidance for a program that annually engages more than 100,000 volunteers and service members on America’s 175 national forests and grasslands. Through her advocacy, leadership, and innovation, Mazyck provides support within USFS to implement the 21st Century Conservation Service Corps (21CSC). She advocated for and acquired millions of dollars for youth and veteran programs in the Forest Service. Since 2014, USFS investments of $61.3 million leveraged partner contributions of $51.4 million to engage 30,000 youth and veterans in protecting, restoring, and enhancing Forest lands. As a key member of the 21CSC Working Group – comprised of staff from several federal resource management agencies – Mazyck has played a role in developing and executing federal policy surrounding the 21CSC. Significantly, she manages the vetting process to ensure that organizations interested in joining the 21CSC comply with the initiative’s principles. 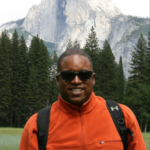 George McDonald has served as National Youth Programs Manager for the National Park Service since 2008. In this role, McDonald has led successful efforts to launch numerous programs designed to enhance and increase the number of underserved, minority and disadvantaged youth participating in park activities and engaging in employment and educational opportunities in parks. 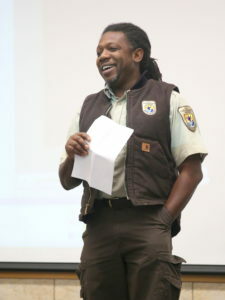 Significantly, he helped launch NPS’s Youth Intern Program in 2009 to provide youth and young adults an intellectually challenging experience and exposure to a range of NPS job opportunities. McDonald has partnered with numerous 21CSC organizations, helping develop such programs as Greening Youth Foundation’s Historically Black Colleges and Universities Internship, the Latino Heritage Internship Program, and the Mosaics in Science Intern Program with Environment for the Americas and Greening Youth Foundation. McDonald has not only championed the 21CSC within NPS, but has taken time to write congressional responses and inform leaders across the Department of the Interior about the value of this initiative. 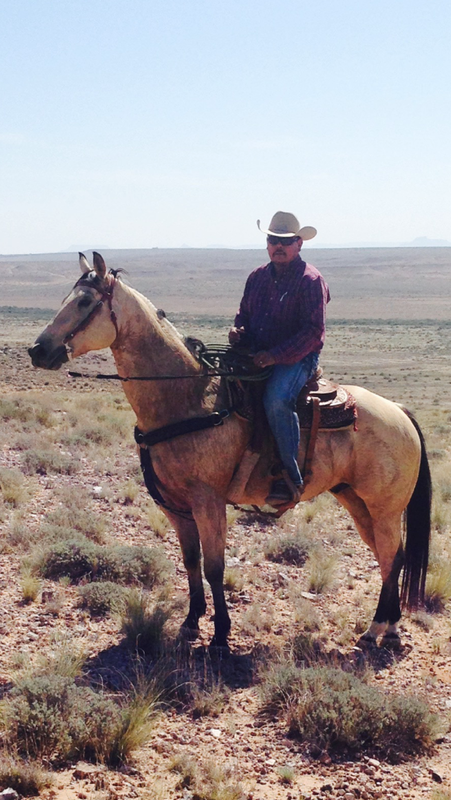 Dr. Calvert Curley is a Natural Resource Manager for the Bureau of Indian Affairs (BIA) Navajo Regional office. He has also worked as a Natural Resource Manager for BIA Navajo Ft. Defiance Agency and as an Air Toxics Department Manager for the Navajo Nation EPA. He is Navajo (Dine) from Ganado, AZ. Dr. Curley has worked with 21CSC youth programs in his former capacity with the BIA Ft. Defiance Agency, as well as in his current capacity. He was one of the first BIA Managers to partner with Southwest Conservation Corps to field Ancestral Lands crews on the Navajo Nation. Ancestral Lands is a SCC program that specifically engages Native American youth in meaningful conservation projects on Tribal lands. 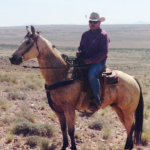 Thanks to Dr. Curley’s support, the Ancestral Lands Navajo Program has grown and thrived, demonstrating to other BIA offices that partnerships with Corps can be an effective way to complete agency work while also empowering local youth. Dr. Curley has become a national leader for the engagement of Native youth in 21CSC programs. This entry was posted in Uncategorized on January 12, 2017 by Hannah. 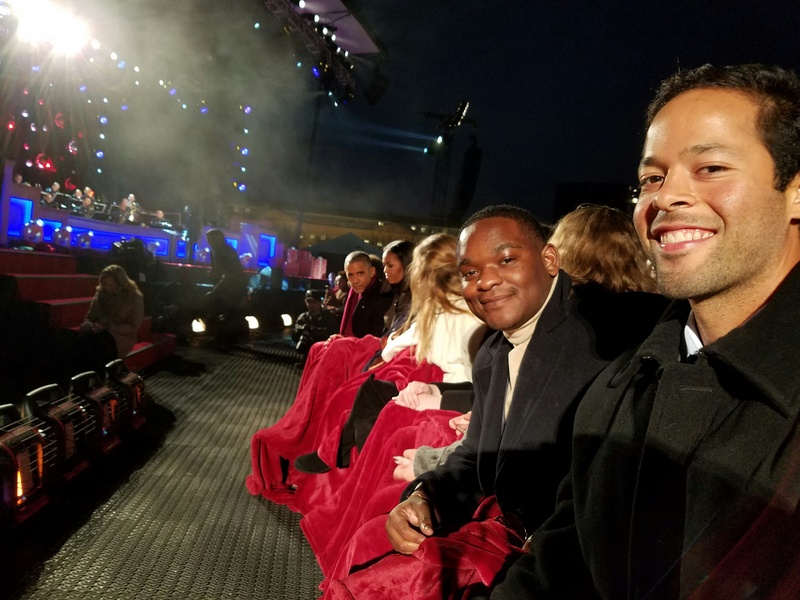 Dylan Carrejo and David Vacianna – both AmeriCorps alumni of 21st Century Conservation Service Corps programs – were the special guests of Secretary of the Interior Sally Jewell at President Obama’s final National Christmas Tree lighting ceremony on December 1st. Carrejo served with Texas Conservation Corps at American YouthWorks, while Vacianna served with Northwest Youth Corps in Oregon. Carrejo also had the honor of introducing President Obama’s speech at the conclusion of the ceremony. Read this blog from The Corps Network on Huffingtonpost.com to learn more about the event and the significance of the inclusion of Corps in one of the final public events of the Obama administration. The lighting ceremony was aired on the Hallmark Channel on Monday, Dec. 5th. Highlights of the event can be seen here. 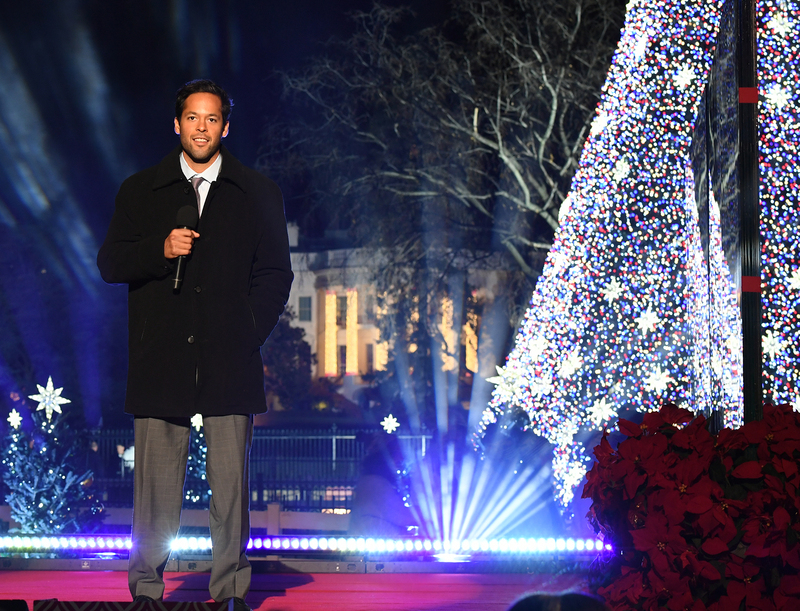 Who’s Introducing the President at the National Christmas Tree Lighting? Later today, Americans can tune in to watch the Obama family’s eighth and final National Christmas Tree Lighting Ceremony. The annual ceremony, which took place last week on The Ellipse – a National Park Service property just south of the White House, is a tradition stretching back 94 years to President Calvin Coolidge. As in past years, viewers can expect the president to conclude the evening with a speech about the meaning of the holiday season. But who will introduce his speech? Dylan Carrejo of Texas Conservation Corps and David Vacianna of Northwest Youth Corps. President Barack Obama and First Lady Michelle Obama in the background. National Christmas Tree Lighting 2016. 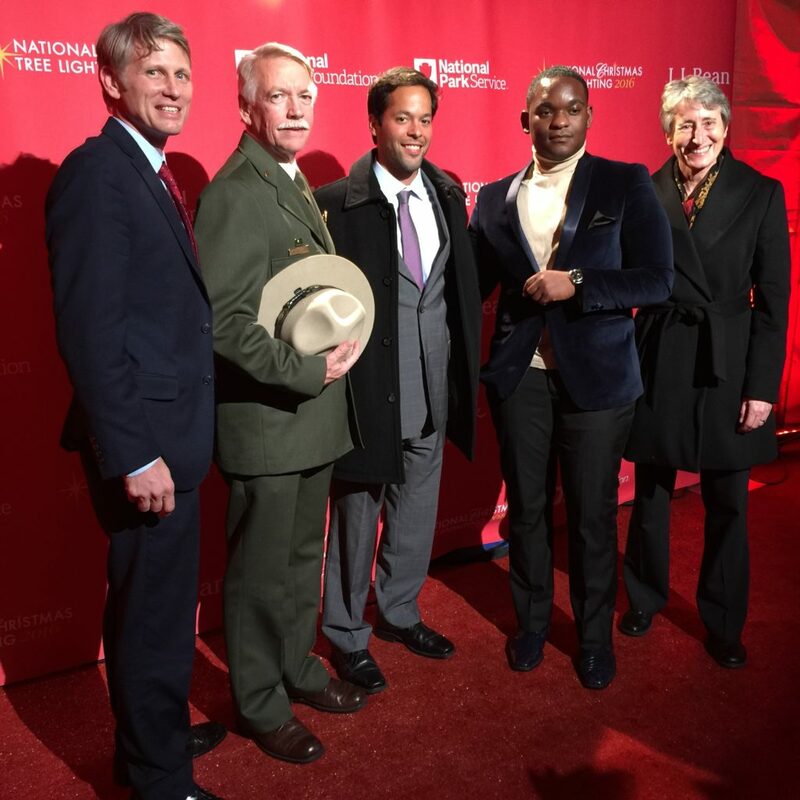 From right to left: Secretary of the Interior Sally Jewell; David Vacianna, a 21CSC alumni from Northwest Youth Corps; Dylan Carrejo; Jonathan Jarvis, Director of the National Park Service; Parc Smith, CEO of American YouthWorks. This entry was posted in Uncategorized on December 7, 2016 by Hannah.